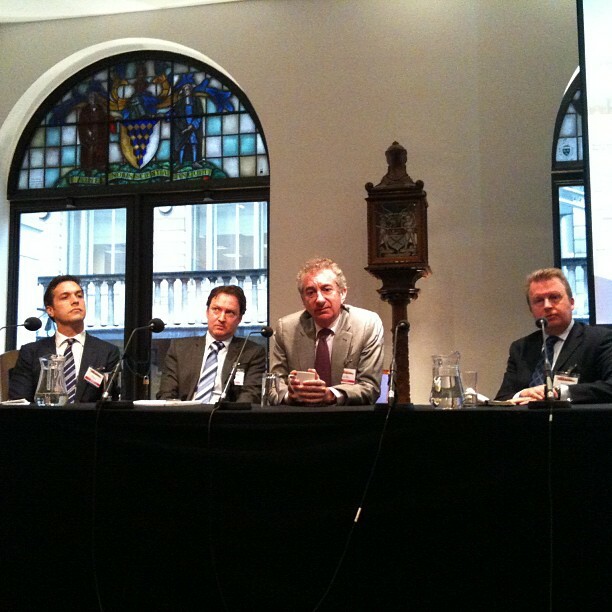 This morning Caplin kicked off Profit & Loss Forex London at the Glazier’s Hall with our early start breakfast panel based on the theme of Paul Caplin’s latest white paper “Single-dealer platforms in a Cleared World“. Audience members received an exclusive copy of the white paper which will be made publicly available next week. 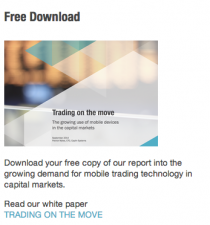 Click here to view our other white papers. Clearly both global banks and smaller banks are investing heavily in their e-Commerce infrastructure and front-ends. The panel examined the future of single-dealer platforms and tried to identify what it is that those who are investing in this space have seen, that others may not have. Not many months ago, industry commentators were suggesting that the raft of new regulation would mean the end of the single-dealer platform. Our panel predicted a positive future for single-dealer platforms but also established the need for a banks to go forward on a broader front across different venues. There are various reasons banks will want to continue to deploy single-dealer platforms, including the fact that SDP’s are enabling key relationship people to reach more people electronically. In virtually all cases, sales traders use SDP’s to trade internally….banks would be crazy not to use SDP’s in this way. Here’s a snapshot of the market. We recently ran a survey among the buy-side, asking what platform they were going to use to clear swaps? They almost all said Bloomberg. The reason for this is that everything is changing for the OTC market. The landscape is changing. The buy-side use what is on the desk now to fulfill their day one mandate. But there is the day one requirement, and then there is how the market is going to look in 18 months time. The panelists felt that in the US, there is a general sense that for Dodd Frank the deadline is November. However, things look entirely different for regulation in Europe where the conversations continue. The question: How are we going to avoid having SDP’s engaged in regulatory arbitrage? The panel felt it was unavoidable. David Bullen pointed out that new regulation is always going to have loopholes, noting that if loopholes in SDP’s are to be considered, a bank better have an SDP already as they cannot be built instantly. There isn’t a lot of money available to be spent on “differentiating factors” in single-dealer platforms. A lot of money has had to be spent on operations and back office processes. The money spent on the front end really needs to count. While the panel felt that single-dealer platforms are definitely a part of the future, they noted that multi-dealer platforms and SEF’s will also continue to play a role and develop as well, noting to look for things in the multi-dealer platforms space to solve problems for the buy-side. If everyone is competing to provide the best experience for the customer (SDP’s, MDP’s, SEFs) then ultimately the experience will improve. Ultimately all new technology brings new opportunities to be innovative in how information is presented.